There's something cheesy going on in Canada lately. Earlier this week, Dairy Farmers of Canada announced 58 finalists for the eighth annual Canadian Cheese Grand Prix. 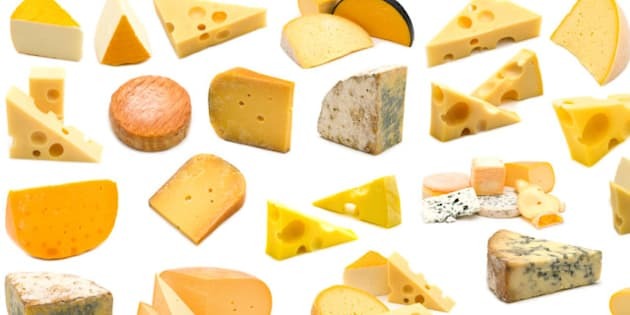 Cheese manufacturers across Canada submitted a total of 225 cheeses (a new record number) hoping to participate in the country's cheesiest competition. A mixed jury of cheese experts, members of the Cheese of Canada organization and chefs tasted out some of the best Swiss, blue and flavoured cheeses our country has to offer. Cheeses were evaluated on criteria including flavour, texture, body, colour, appearance and salt — talk about the tastiest evaluation ever. When you think of Canada, you might think of salty peameal bacon or sweet maple syrup, but it might be time to re-evaluate our national delicacies and include some dairy products too. This year, our country had a lot to offer in terms of cheese. "The diversity we saw within the 19 categories really showcases how evolved this craft has become in Canada.," said Phil Bélanger, Canadian Cheese Grand Prix jury chairman in a press release. "From aged Cheddars to organic cheeses, cheese makers from across Canada are taking it to the next level." And with the selection in 2013, we're not surprised several Quebec cheeses have topped multiple categories. The Canadian French know how to make delicious cheese — and win several awards. To brush up on your cheese platter skills, we also have a guide on how to make the best cheese party platters.